Oamaru (/ɒməˈruː/ ( listen); Māori: Te Oha-a-Maru) is the largest town in North Otago, in the South Island of New Zealand, it is the main town in the Waitaki District. 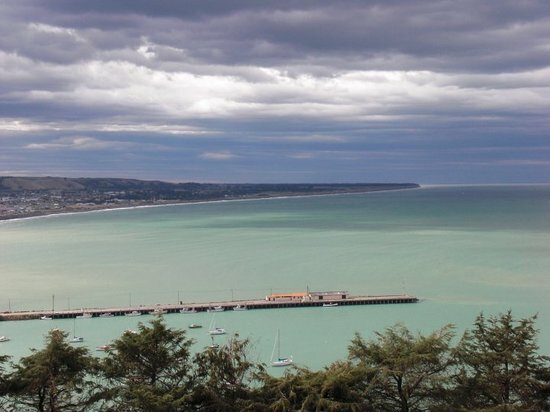 It is 80 kilometres (50 mi) south of Timaru and 120 kilometres (75 mi) north of Dunedin on the Pacific coast; State Highway 1 and the railway Main South Line connect it to both cities. With a population of 13,900, Oamaru is the 28th largest urban area in New Zealand, and the third largest in Otago behind Dunedin and Queenstown.